As our name suggests, we print ribbon! We are an established business based in Ibstock, Leicestershire, UK. All the Printed Ribbon UK team are specialists in printing high quality satin ribbons. Make your wedding day extra special with our personalised ribbon. 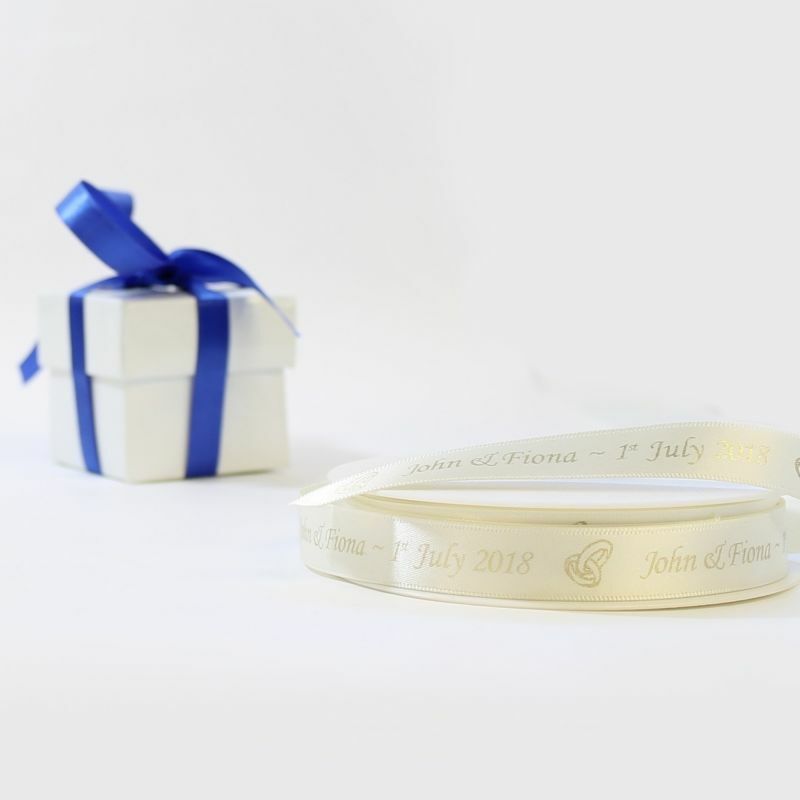 Our bespoke wedding printed ribbon looks lovely tied round favour boxes, party boxes, jewellery boxes or organza bags to give that personal touch for your guests. All ribbons we use are double faced satin, the reverse side is the same quality as the printed side. We have an extensive range of ribbon graphics that can be printed without additional charge onto any widths of our satin ribbon. Unlike other ribbon printers, there is no set up / origination or artwork charges apply.